Not all legal research systems are created equal. and tools that other systems simply cannot match. 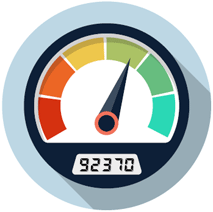 No need to wade through large numbers of non-relevant cases. 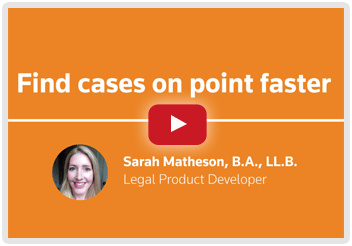 Search results provide the most relevant cases faster. No one can match our meticulous editorial work. For more than 150 years our legally trained editors have been classifying and re-classifying law using more than 33,000 classifications under 55 legal topics from the Canadian Abridgment. Editors read every case and carefully draft headnotes that reflect the legal issues in the case. These headnotes include legal issue classification phrases from the Canadian Abridgement, legal synonyms, and other relevant words and phrases - so you don't miss relevant cases because you don’t know the exact language used by the court. 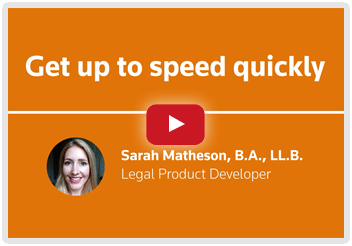 Whether you simply need a quick refresher or you’re dealing with an unfamiliar area of law, WestlawNext Canada has superior tools and resources to help you quickly get up to speed with legal research on a legal issue without researching for hours. Cited more frequently by the courts, this expert commentary identifies the defining cases relevant to your file, and filters out cases that aren’t. Leverage actual court documents to better reinforce or distinguish a case, anticipate arguments opposing counsel might make, and come up with creative new litigation strategies. Unlike other services that only provide an award digest, our quantum service graphically displays ranges of awards – with significant factors called out for each award – to help you instantly evaluate claims. 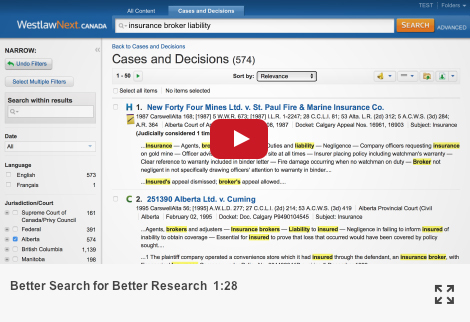 Available only on WestlawNext Canada, you can access legal memos – directly from a case or browsing by topic – where your legal issues have already been researched and addressed. The content and technology in WestlawNext Canada is organized and connected in ways that make it easier to find, interpret and better understand the law. So finding the right answers comes quickly and intuitively. All of the linkages between different information components on WeslawNext Canada keep you moving on the right path to understanding the law. You can also view summaries written for all levels of a case to clearly understand how courts have interpreted the case. 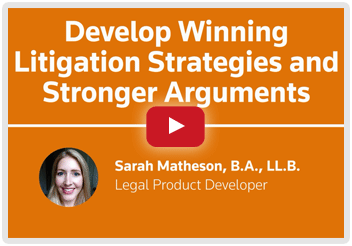 Build the strongest possible argument through your legal research with superior legal materials: primary law, analytical materials, practice area insights, litigation resources and more.